Sales of Activision’s Call of Duty: Modern Warfare 3 has surpassed $1 billion in sales in only two weeks and two days. At that rate, the Santa Monica, Calif.-based company says it has eclipsed sales of the blockbuster movie “Avatar,” which took 17 days to gross seven figures. The bloody first-person shooter, which operates across all consoles and on the PC, went on sale Nov. 8. The game took only five days to gross $775 million and to shatter all entertainment sales records, including movies, books and videogames. For perspective, Electronic Arts’ Battlefield 3, which is going head to head against Activision’s Call of Duty this season, has sold eight million copies of the game, according to Game Informer. EA hasn’t disclosed total sales figures. Additionally, NPD expects strong sales of Call of Duty to break videogame records for the month of November. 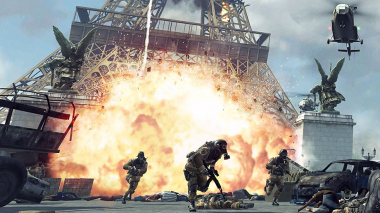 The $60 game is accompanied by Call of Duty Elite, an online component that allows players to compete against each other for a chance to win prizes. Activision says six million players have already registered for the free or premium plans, with more than one million paying for access that costs $50.